We all met at the Darnum Stump Tearooms where many had coffee and cake etc. and all enjoyed a social chat beforehand. 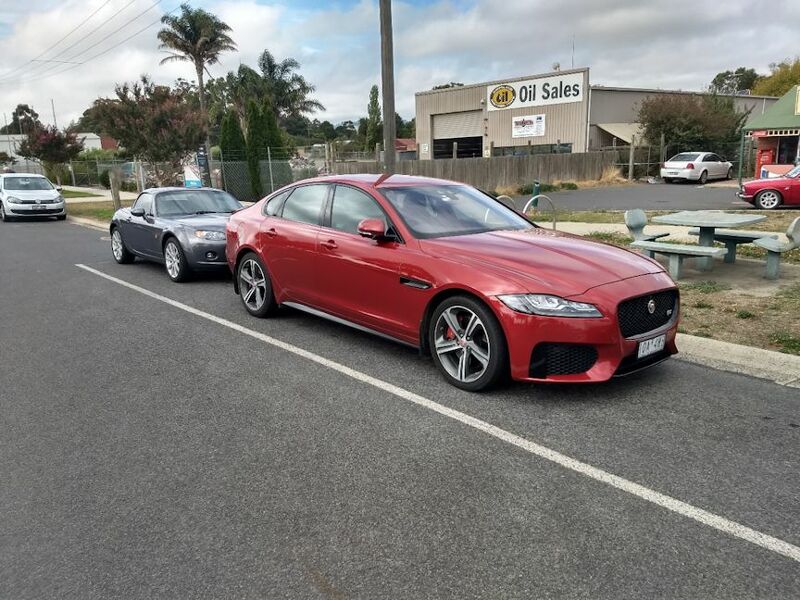 This month’s Mid-Week-Run was to the Royal Hotel at Koo Wee Rup, and at 11 o’clock we set off in our varied mixture of cars – a couple of Jags and Mustangs, an SLR 5000, Porsche, SAAB, MX5’s and few of most other makes, through the very dry hills of Darnum and Lardner, along the Torwood-Topiram ridge-top road and through Ripplebrook, before emerging on the Lang Lang Road for a little while. 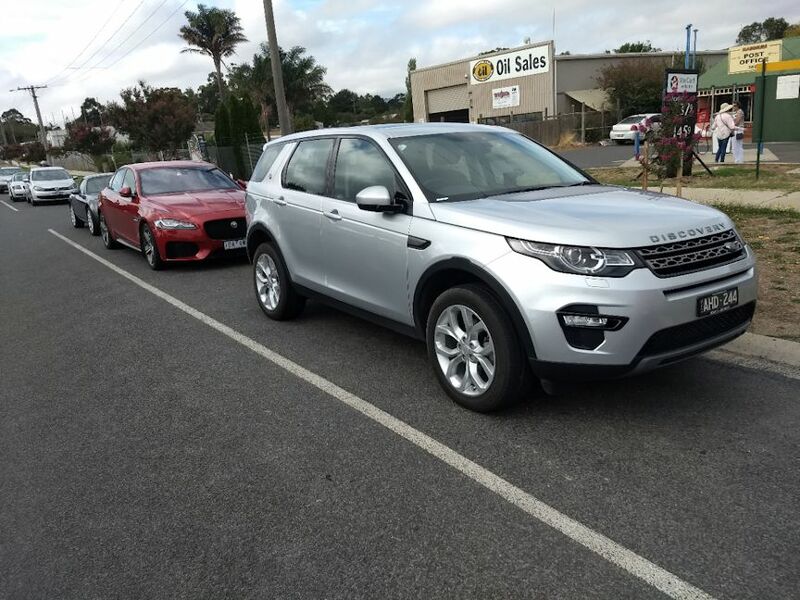 We turned off the Lang Lang Road onto Heads Rd and then headed towards Bayles and onto Koo Wee Rup taking about an hour and a quarter to complete the journey without losing anyone. 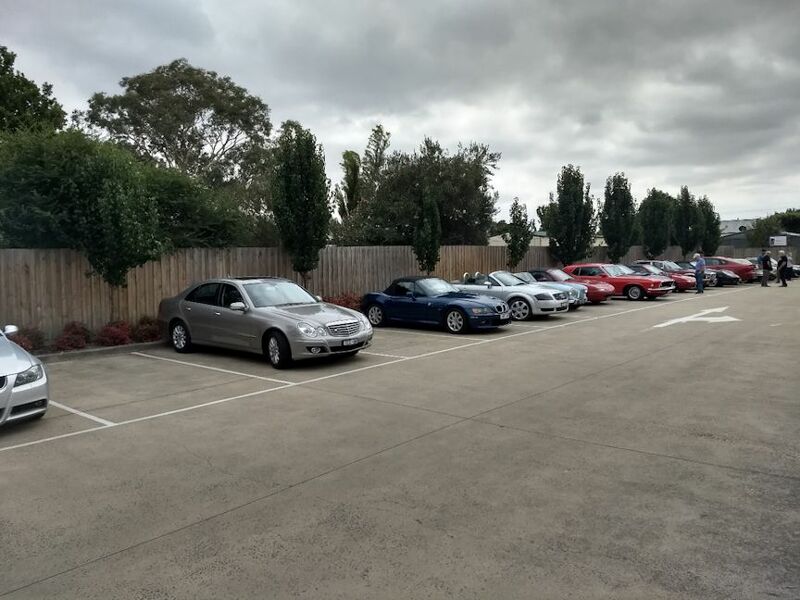 It was a great line-up of cars in the hotel’s car-park. 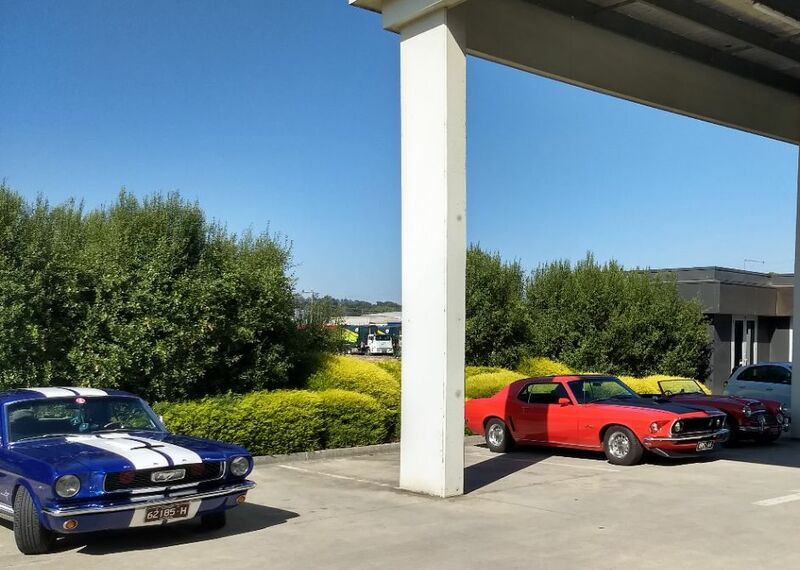 Some members drove down from Melbourne and Phillip Island meeting us at the Hotel where we ended up with 34 people and 17 special cars. Prompt meals contributed to a very social lunch and a lot of chatter afterward in the car-park before we all headed for home at around 2 o’clock to beat the traffic. Congratulations to John Fowler on his well-deserved Life Membership of the Club and many thanks to him and Jan for organising this month’s Mid-Week-Run. See you on next month’s Mid-Week-Run. Yours truly arrived early at the rendezvous location, after a somewhat sleepless night wondering how many would show up for the run. 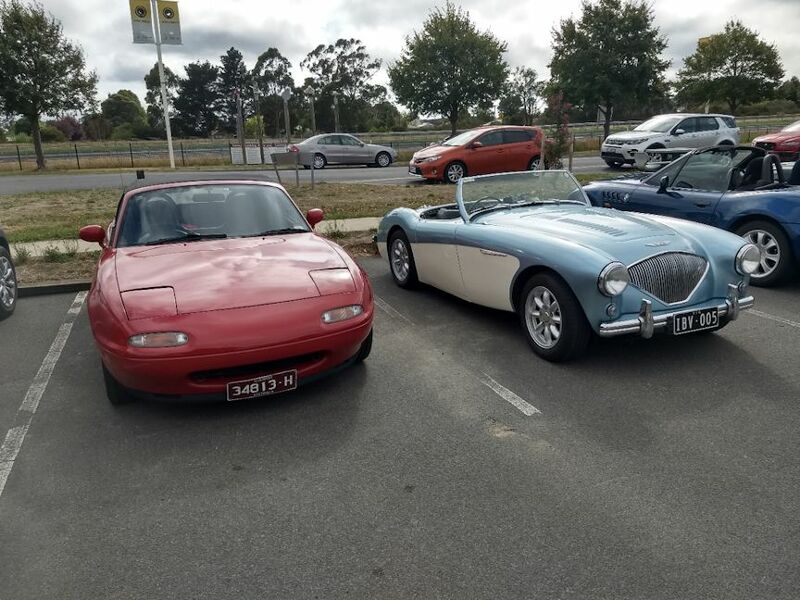 It was good to see a two-tone Austin Healey arrive, also way ahead of the departure time. 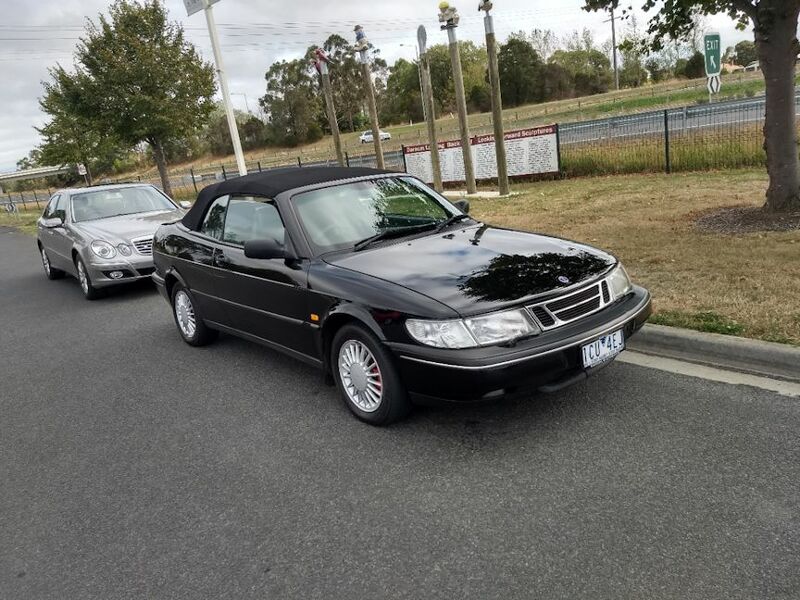 A good discussion about the restoration of this car was entered in to along with an explanation of how the seat belts needed to be removed in order to get the soft top up and down… so consequently, the top stays down most of the time. Eventually there was a steady arrival of vehicles and several groups of people in socialising mode. A total of seven of the vehicles were driver only (sans passenger), which I think is higher than average. 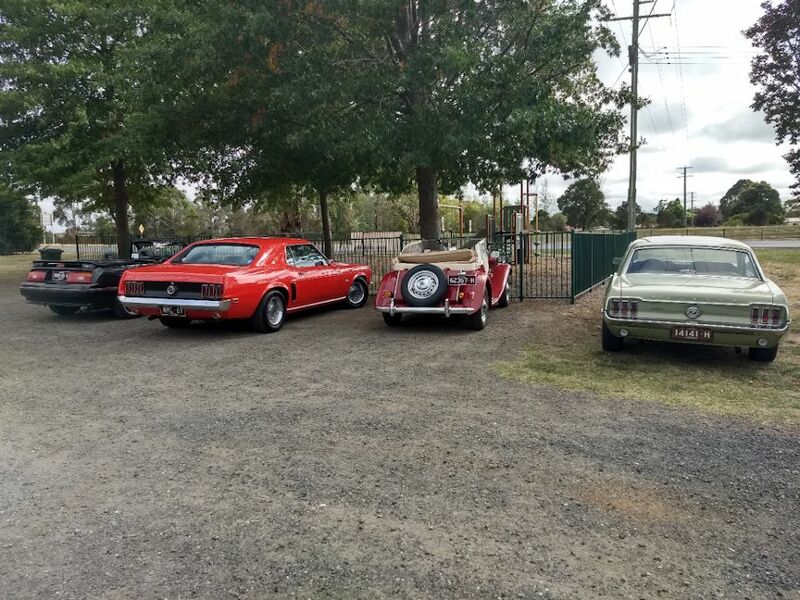 The final mix of vehicles was very eclectic, slightly tipped in the favour of the Mustang breed. 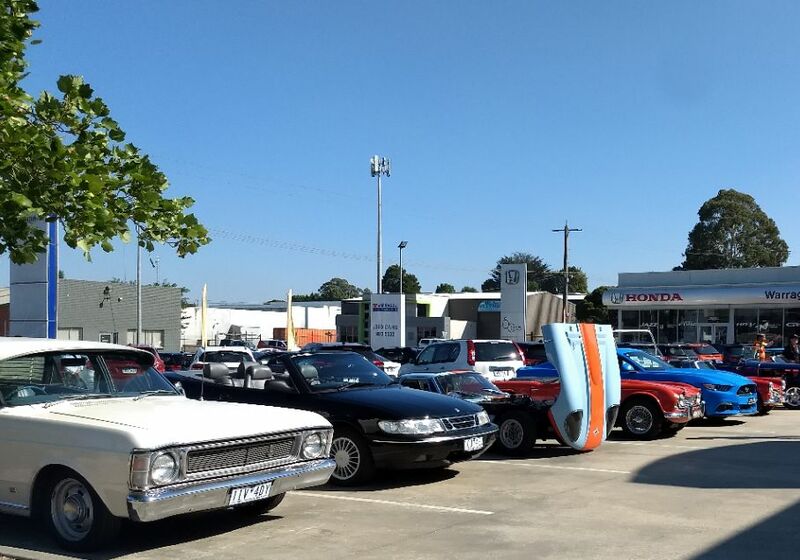 A grand total of 18 vehicles started the run at slightly after 9:30 am. 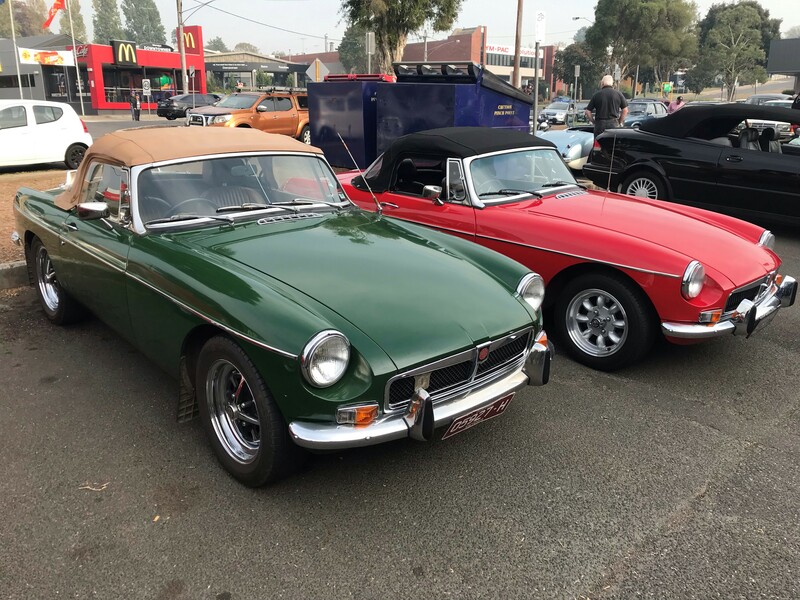 But, for a very brief moment, there were 19 vehicles as we passed a familiar (and unexpected to me) sight of Steve’s Fiat Spider parked on the side of the road with Steve close by with camera in hand… frantically snapping photos as the procession passed him by. Now it’s extremely fortunate that Steve was there, as otherwise, there may have been no photos taken at all. 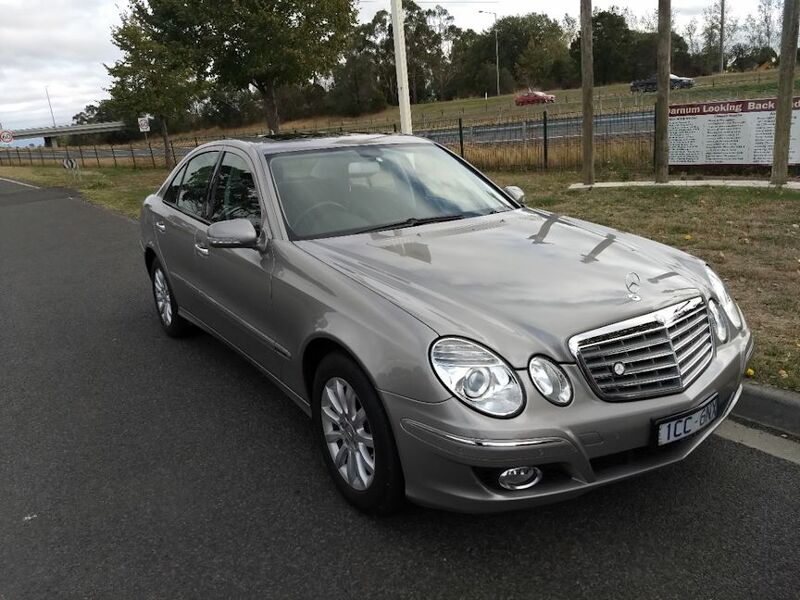 Approximately 40 minutes from Maffra, I sped up and took a more direct route to get to the Shed a little earlier to check with the staff and let them know that the rest would be arriving very soon. 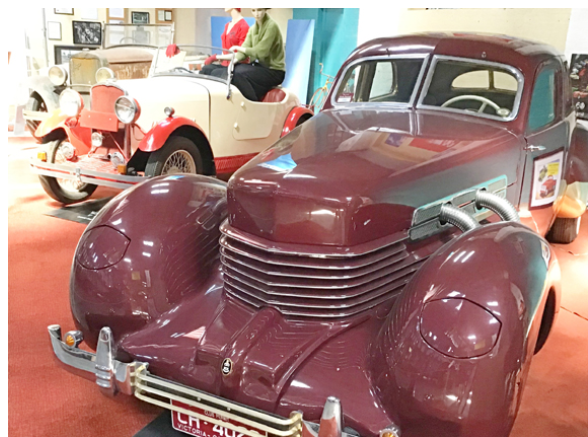 On arrival, we proceeded to inspect the collection of mainly American cars dating back to the 1920s. The display vehicles were immaculate and to my surprise, had mostly Victorian registration on them. All these gems live semi-locally… and the owners are generous enough to leave them on display here for months at a time so that other people can benefit from being able to look at them. Because it was a treat to be able to look at them. 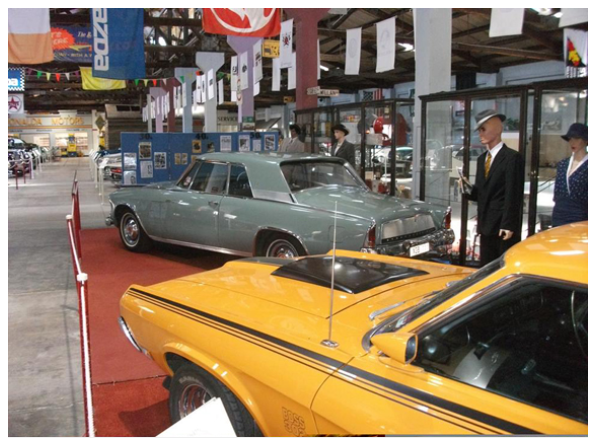 The highlight for me, was the collection of Studebakers. 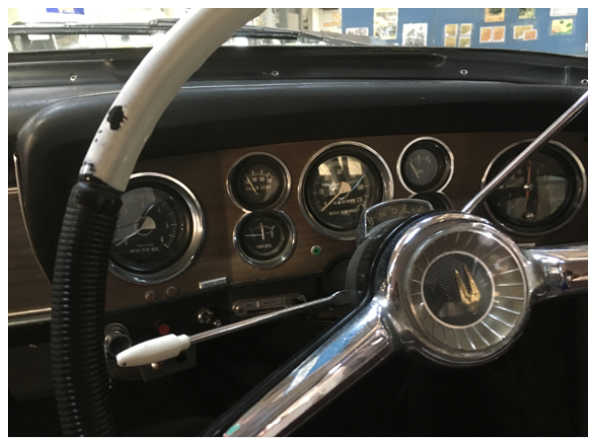 It took me back to my childhood, when I used to go for drives with my uncle in his Studebaker Hawk. 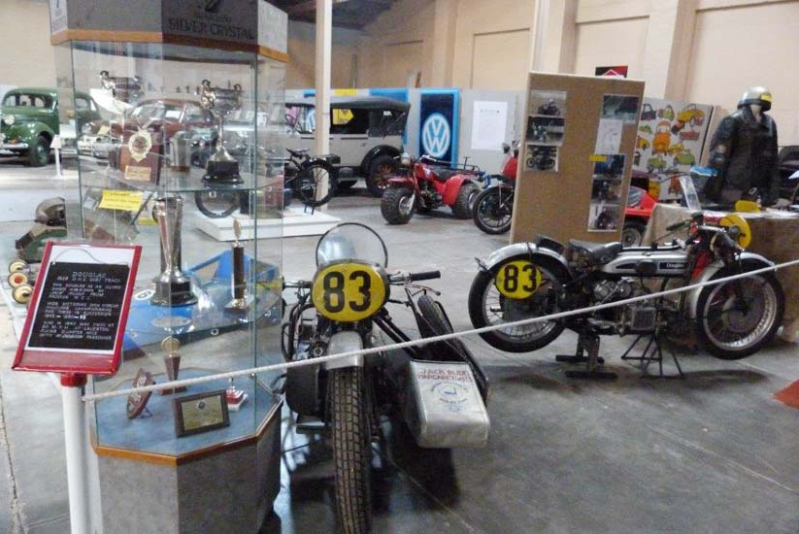 I also enjoyed the collection of motor bikes that were on display and the huge collection of models cars that must have numbered in their thousands. You could easily spend a couple of hours just inspecting these models and they all came from one man’s collection that were donated to the Shed. The collection of jacks was left of centre, but none-the-less an interesting addition. After inspecting the collections, I was eager to cook up my steaks and have lunch. I hadn’t had breakfast that morning and was feeling rather hungry. Some people cooked up sausages, some brought sandwiches and picnic lunches. I claimed a section of Di and Mike’s picnic blanket and relaxed for a while… before heading back to Traralgon. 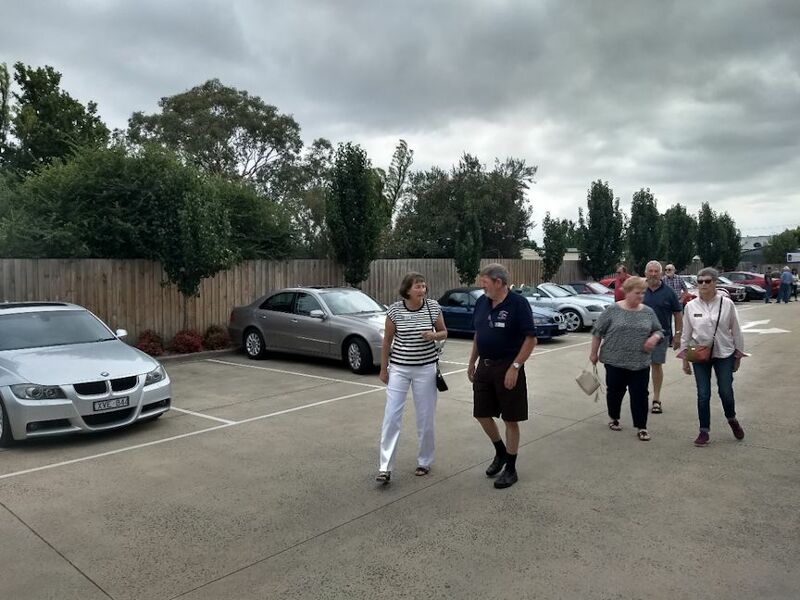 The BBQ area was huge and exceptionally well maintained… as was the entire complex that is the Gippsland Vehicle Collection. 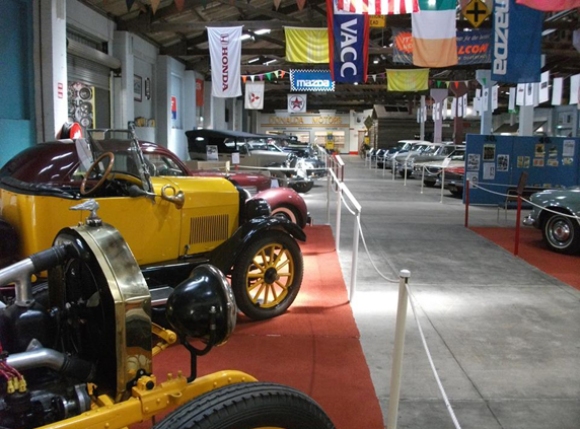 It’s a credit to the volunteers who run the place… as well as the generous owners of the vehicles that go on display. It’s been a while since I have visited the Shed, but I’ll be going back again! 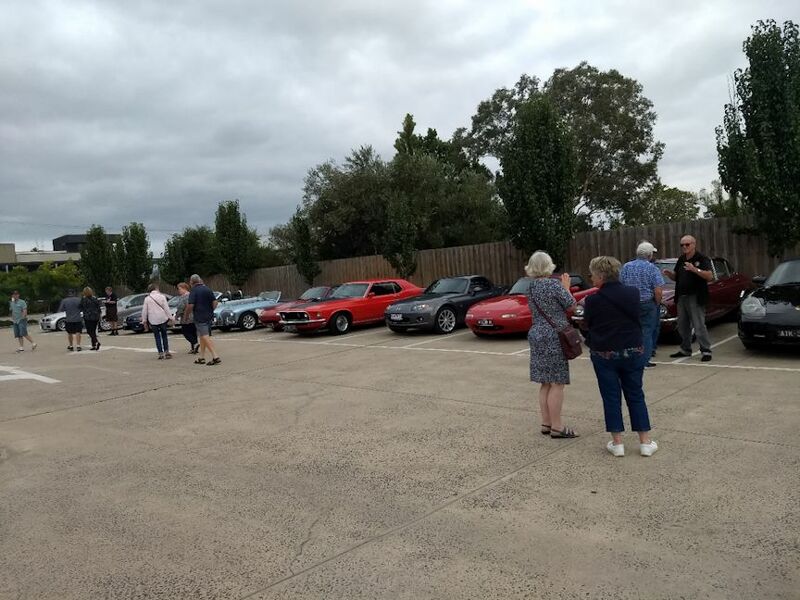 As this was our final monthly meeting before the end of Daylight Saving, quite a few members arrived early, displaying their cars outside the clubrooms whilst enjoying pre-dinner drinks in the lingering sunshine which bathed the west-facing patio area. Quite pleasant really! Inside the dining room, preparations were being made for a buffet meal catering for around 60 or so of our members and friends. 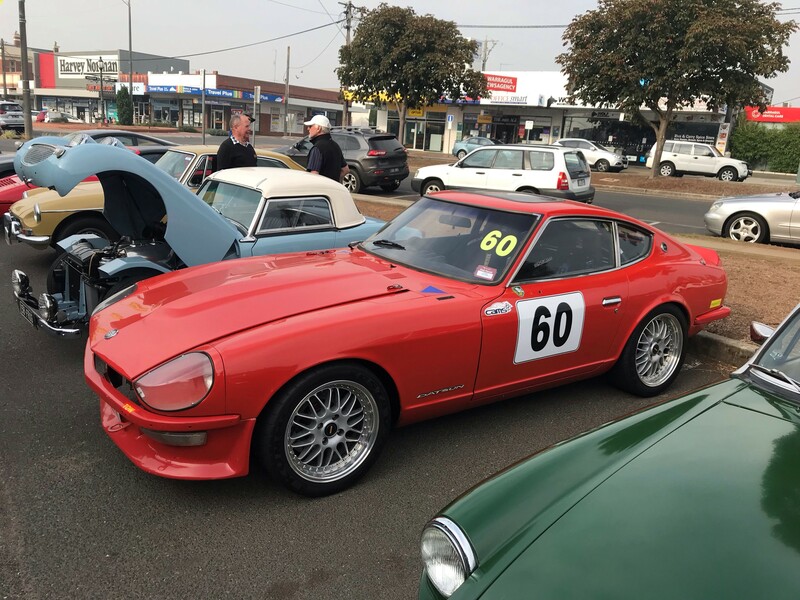 The drip trays were in place for what we expected to be Bill Formby’s Rolls Royce, but following a last-minute cancellation, it was Locky Fowler’s recently acquired 1973 Datsun 240Z which took pride of place on the green carpet. This month’s meeting also included our Annual General Meeting which was dispensed with astounding efficiently in just four minutes and four seconds thanks to some great teamwork between our secretary Glen Campbell and out-going president Ray Youlden. Ray is stepping down into the position of Vice Pres this year whilst Ron Brooks will take on the leadership role. Jaime Drysdale who is not continuing on Committee, was thanked for her involvement over the last 12 months and we welcomed Ed Denovan and Ian Maud onto the Committee which apart from these changes, remains much the same. After more than 20 years on Committee, which included a stint as President, several years as our Club Permit Officer and the force behind our Mid-Week Runs, John Fowler was presented with a well-deserved Life Membership of the Club. 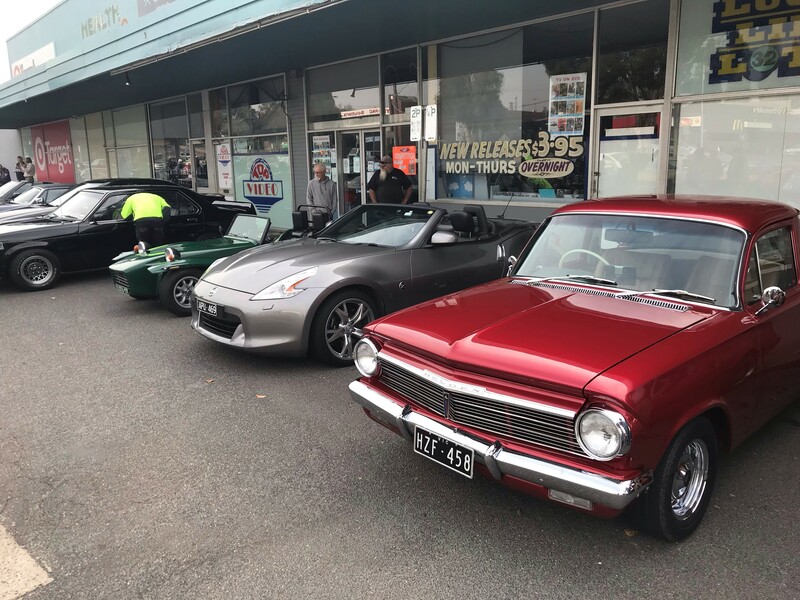 Congratulations John.With the AGM out of the way, Ray handed the reigns over to Ron who then thanked Ray for his two years at the helm before completing the meeting’s business and introducing Locky and his 240Z. 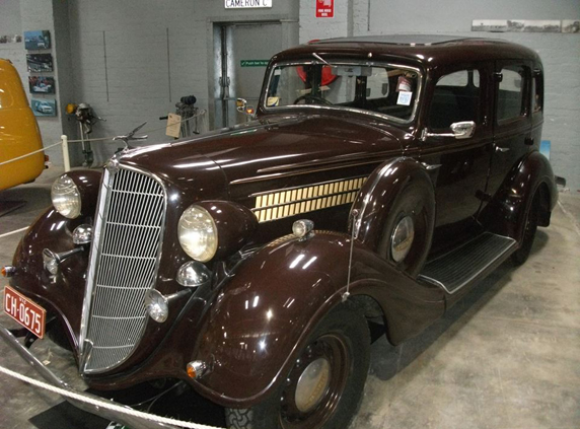 Locky explained that the purchase of this car was a rather drawn-out affair that began with a rumour about this well-known car possibly being on the market – but no details or contact numbers were forthcoming. 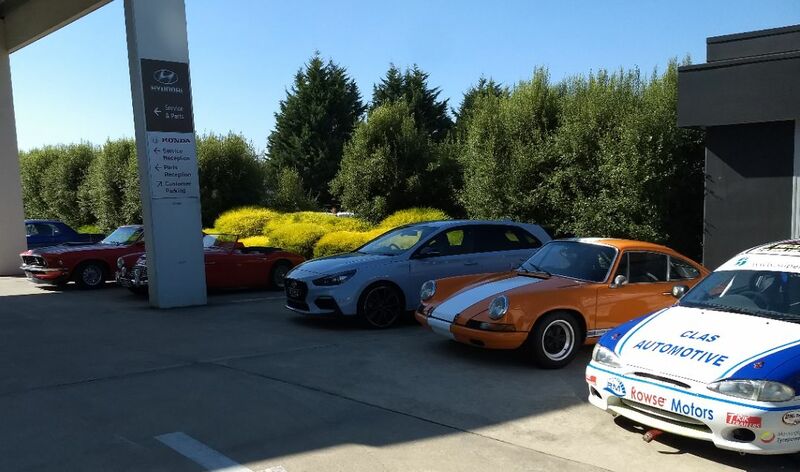 Eventually the owner was tracked down and three months later a deal was negotiated resulting in Locky’s ownership of a second red 240Z. 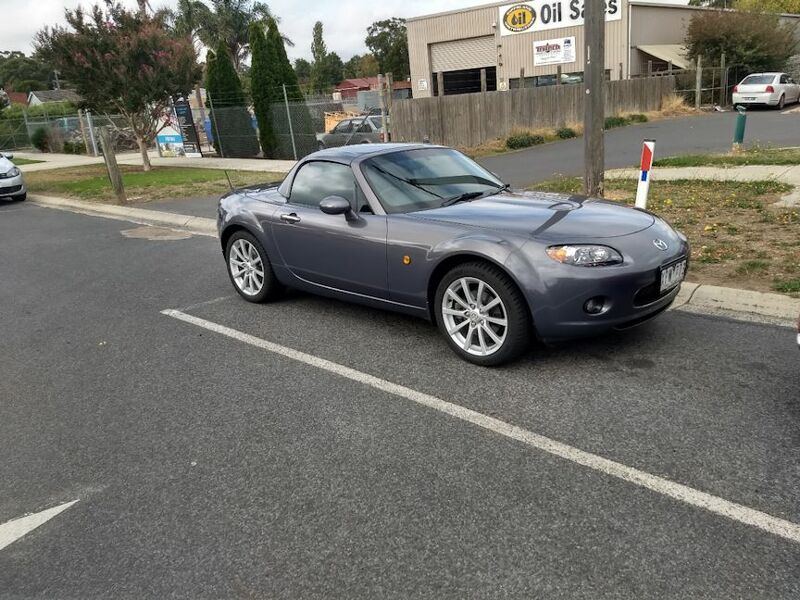 This car, however, is somewhat unique. 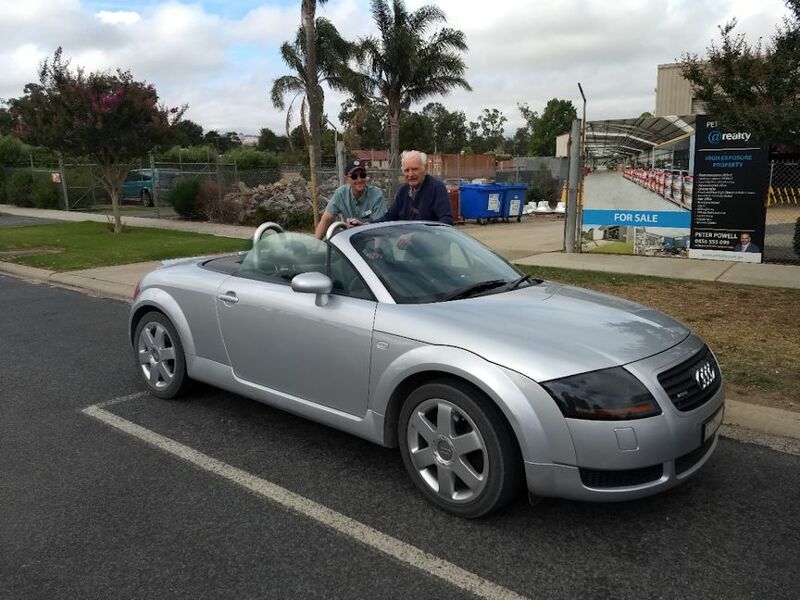 Although registered on Club plates, the Z has sat virtually unused for almost two years. It was built primarily as a club-racer and circuit car and has an impressive list of modifications and extras that include a bolt-in roll cage, digital dashboard, bigger brakes and wheels, coil-over suspension, a 260Z limited slip diff and topping it off, a fresh Les Collins 2.8 litre fuel injected engine running 13.5:1 compression on E85 fuel and producing close to 300bhp. 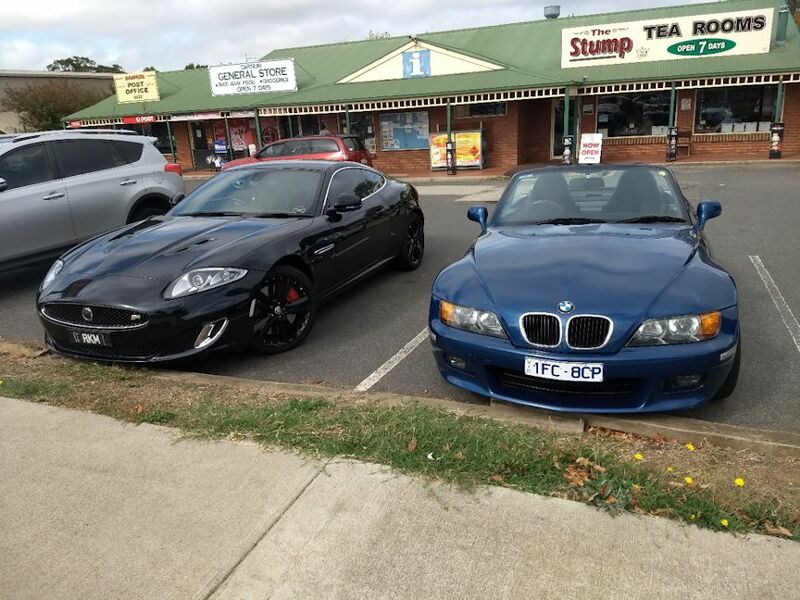 Needless to say, the beast has impressive performance. 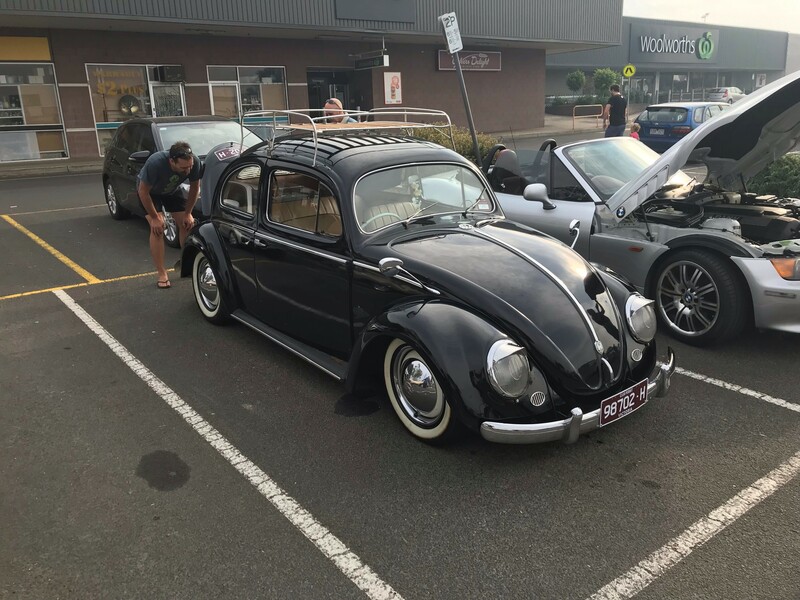 Locky will be giving it a run at Philip Island this weekend before continuing on with the development work which will include removal of the sunroof and further mechanical massaging. We thank Locky for making himself and the Z available at very short notice this month. A very short report this month consisting of information gleaned from a chat with one or two members who were present and the photos sent to me by Graeme Hollingsworth, John Stoker and Stephen Hoole. 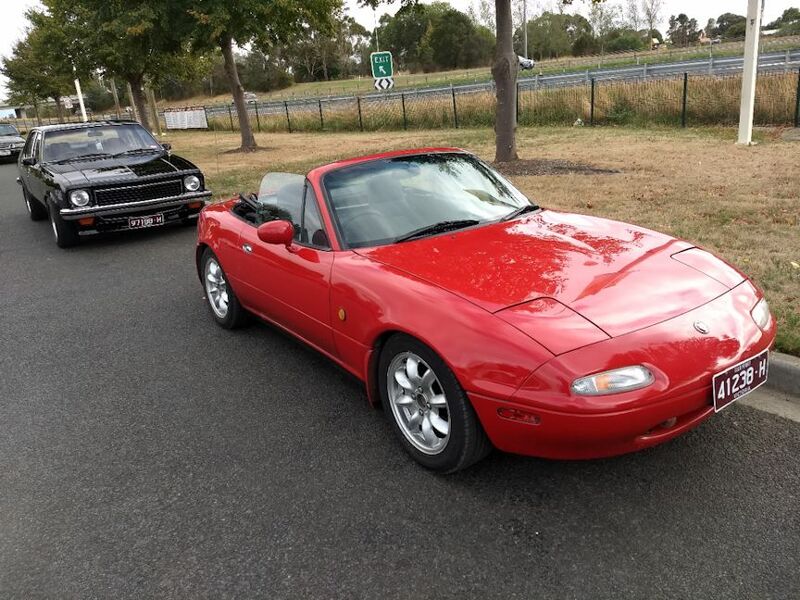 Your regular correspondent missed this month’s gathering, electing instead to have some sideways Fiat fun on a concrete skidpan at Bayswater. Thank you to those mentioned above for helping fill the void. 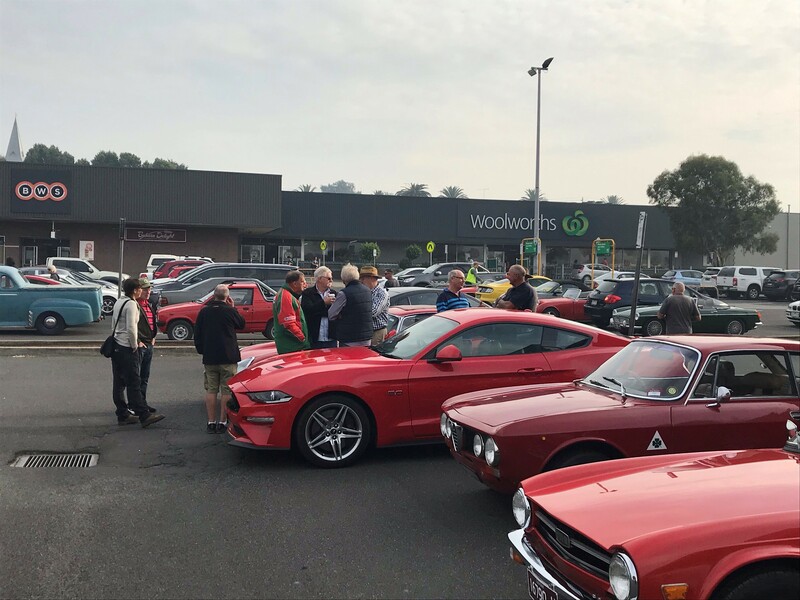 The weather in Warragul was cool, but clear and it enticed a good turnout of around 70 vehicles to attend our early morning gathering. 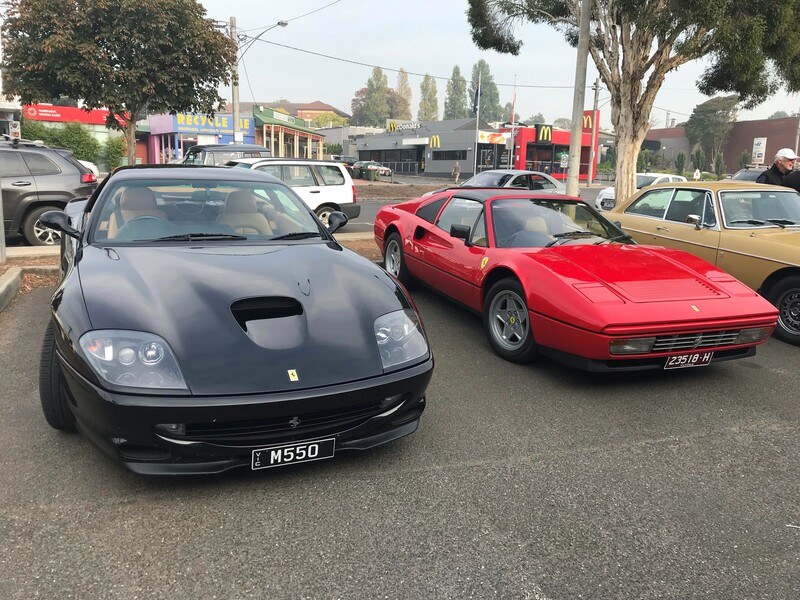 Amongst the regulars were a couple of Ferraris, an ever-growing consort of Mustangs and MX5s, and the usual dedicated assemblage of pukka sports cars representing a range of classic British and European manufacturers. 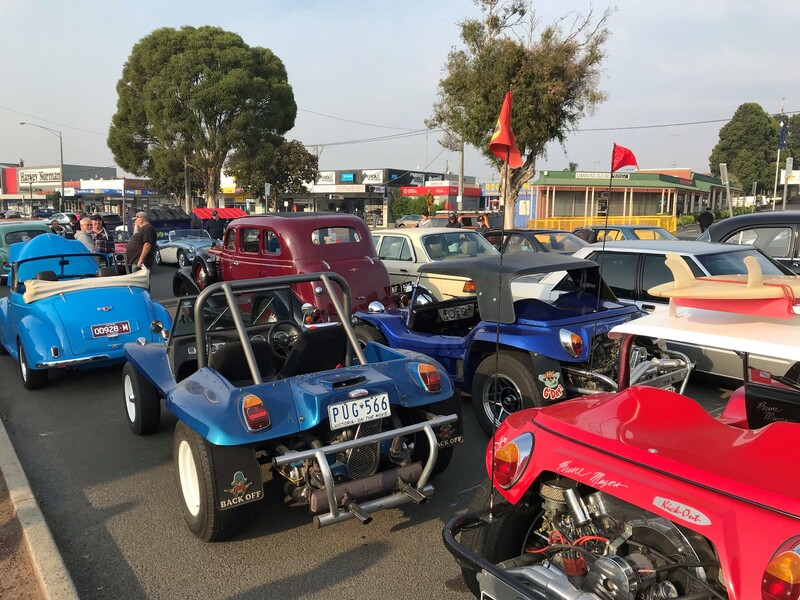 An appearance from members of the Volvo Car Club on a run up to the Gippsland Vehicle Collection at Maffra swelled our numbers for a while, as did a group of classic beach buggies seemingly out of their element without a sand dune in sight. 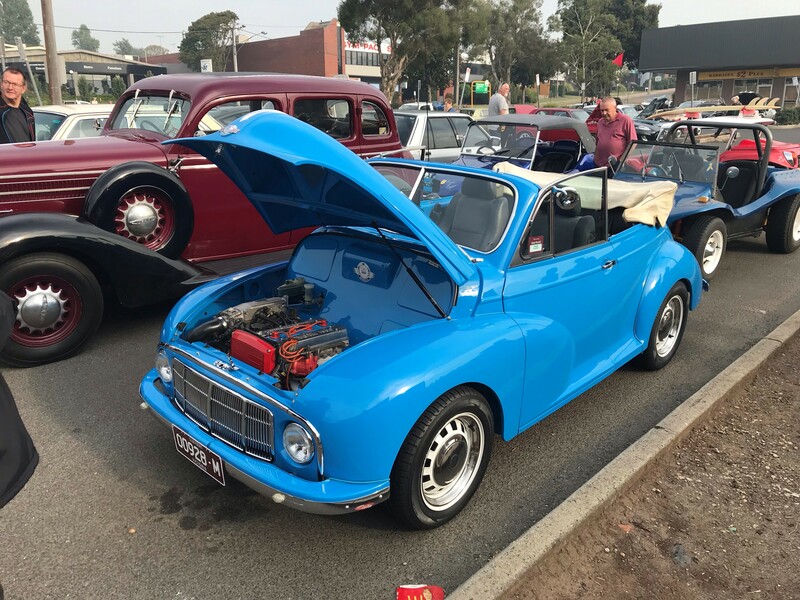 Dennis Cope brought along his immaculate 2-door Datsun 1600 which is now registered on Club plates, and it was nice to see a rare and beautifully restored VW Combi twin-cab ute. I have always thought that one of those would make a perfect transporter for the Cooper S race car! David Anderson rode in from Allambee on his Harley, realising too late that he’d forgotten his gloves and having to put up with frozen hands, but the weather stayed fine, allowing the several other motorcycle riders and the drivers of roofless convertibles to enjoy a dry, but rather fresh drive home. Sunday 17th February saw the first ever meeting of Victorian Marcos owners with 6 owners and 4 cars in attendance. 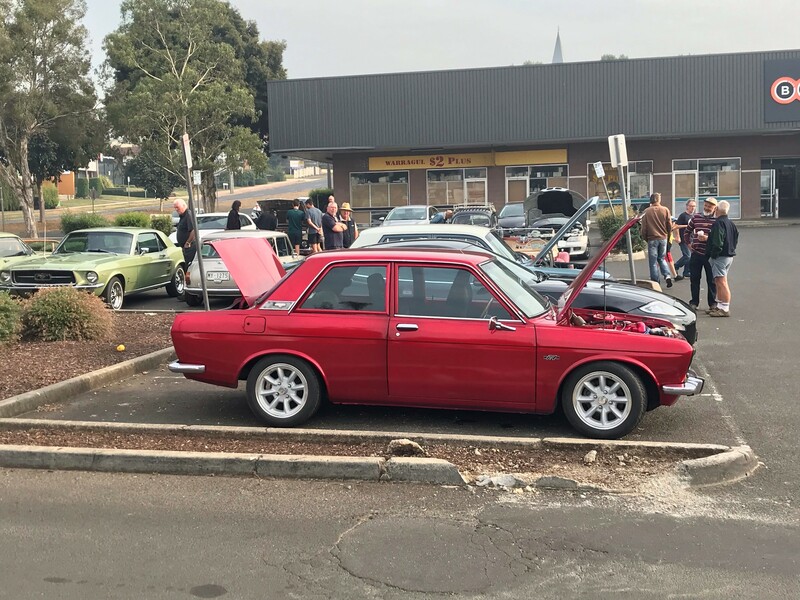 We lost what would have been a 5th car late the night before due to an electrical gremlin, another was running but not roadworthy, another owner too far away to make the trip and a fellow Mini Marcos owner was away celebrating his birthday, so potential is there for more cars in the future. 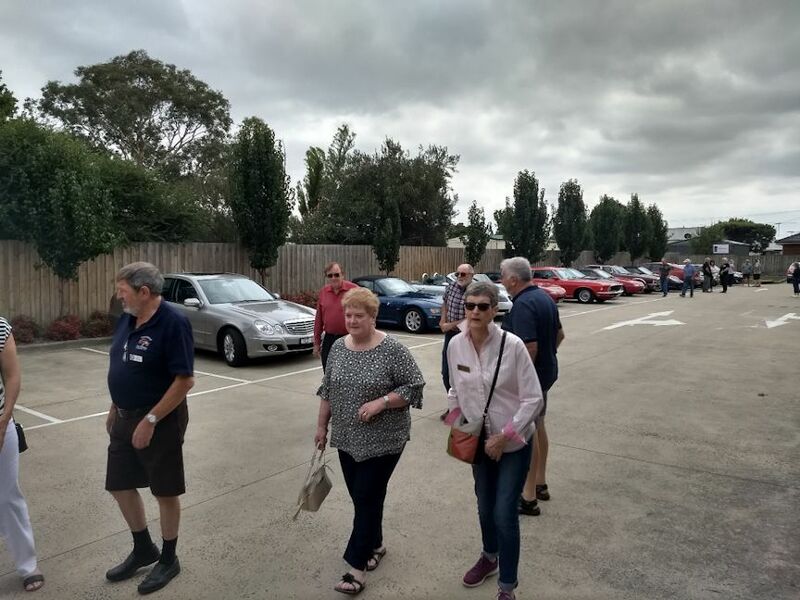 Sporting Register members Mike Kolody (blue Marcos V6 GT) and Steve Schmidt (green Mini Marcos GT) met up with the folk from Melbourne over a nice pub lunch at KooWeeRup. 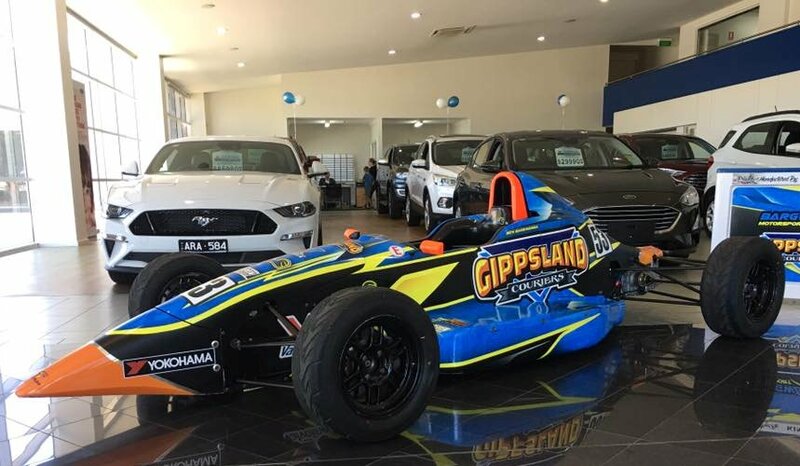 The Sporting Register was invited to attend and display their cars at Warragul City Ford on the occasion of local Formula Ford driver, Ben Bargwanna’s unveiling of his 2019 race car. Ben’s post on Facebook reads, “Here it is! My 2019 Formula Ford livery. 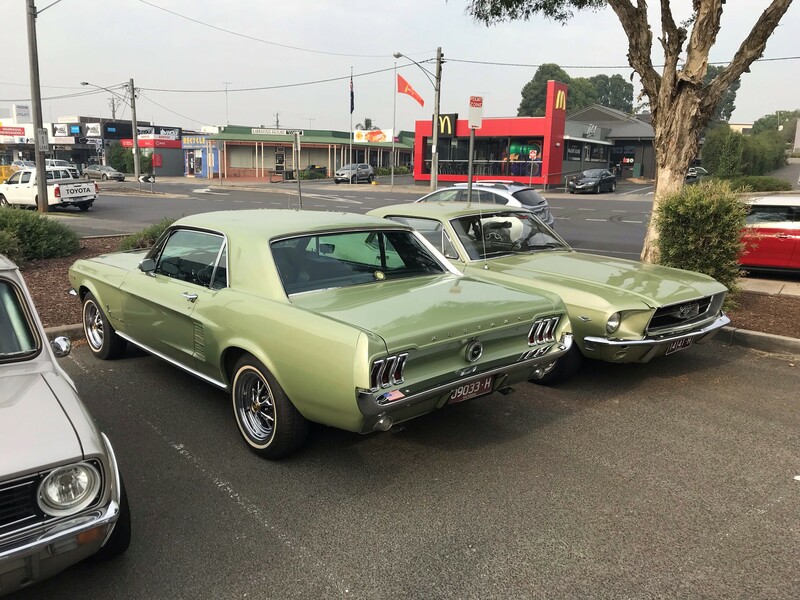 The drive was short and simple – south down the Korrumburra Rd ‘till the turnoff to Poowong, along there a bit, then a right turn into the Drouin South Rd, northwards through Poowong East and back to Warragul via Lardners Track. Plenty of twisties interspersed with short straights to give the driver and machinery a workout, and scenic views for the passengers. Listening for the approach of cars on a beautifully still, warm summer’s evening whilst standing on a corner in the middle of nowhere with a camera, it was easy to pick those who were having a bit of fun. 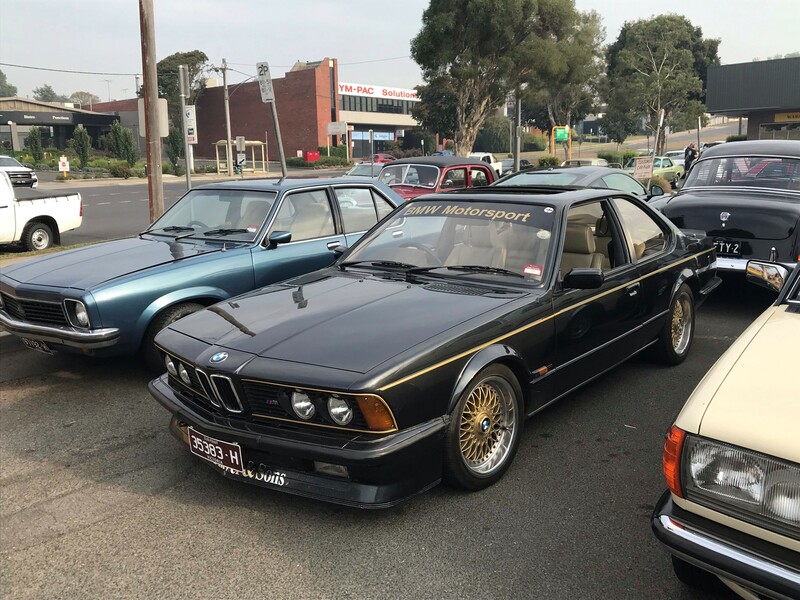 Kevin Riley in the SL55 was the first to pass by my location, probably not realising that I was there as he focussed on road ahead, Glenn and Pam Campbell followed on through a minute or so later in the V8 M3 BMW sounding sweet. 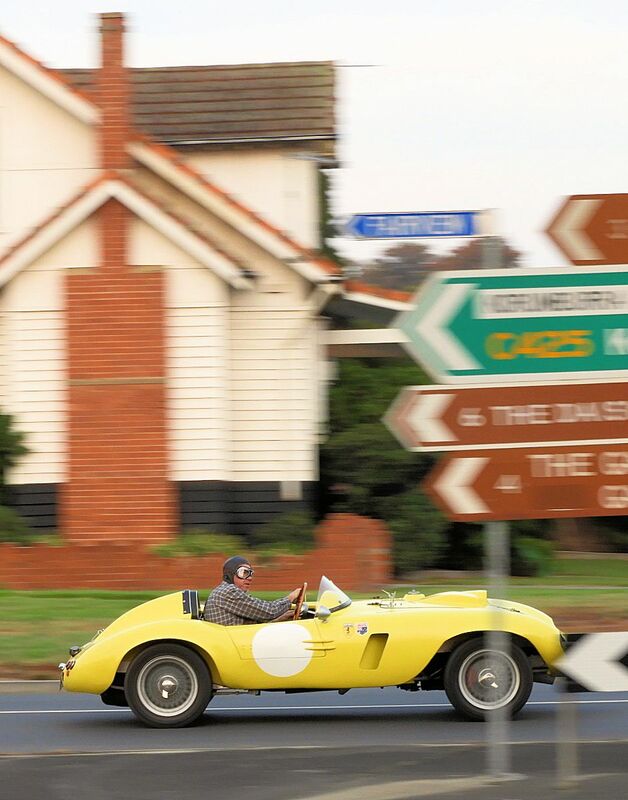 There then followed a procession of another 16 sporting and classic cars, some running singly, others hunting in packs. 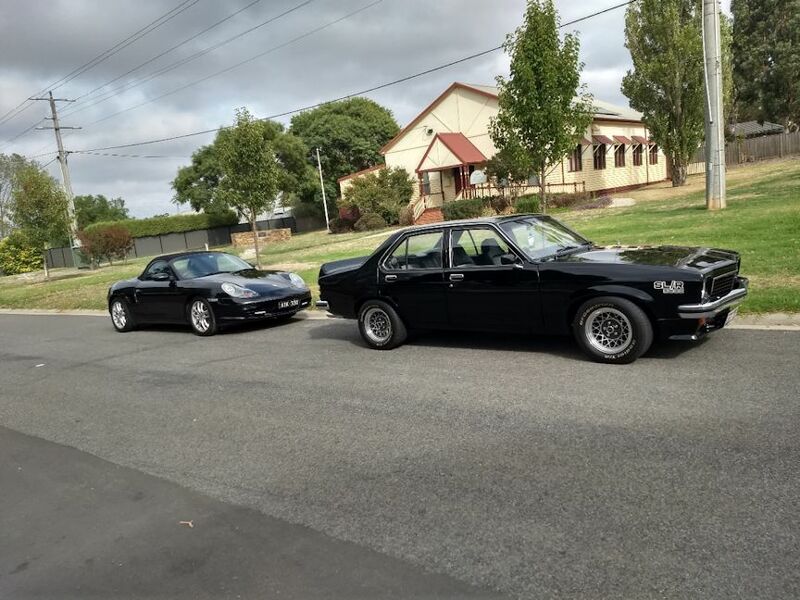 Mark McKibbin’s Lancia Lambda missed the photo point, but was the first to arrive at IN2FOOD back in Warragul after taking a shorter route at a more leisurely pace. 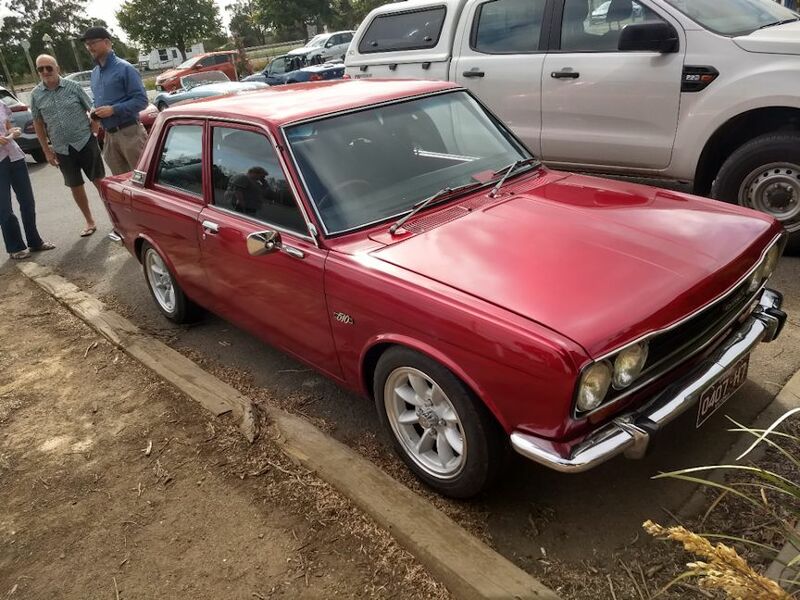 Your correspondent’s Bugeye was parked on the roadside just past the photo point, but to several locals it must have looked as if it had broken down. 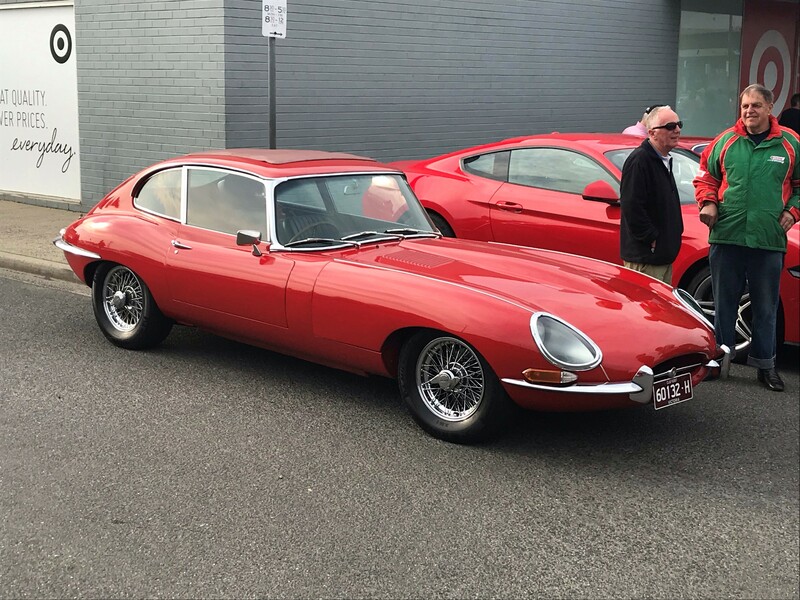 I was offered a push-start and even a “tow into town” by passers-by who obviously hadn’t lost their appreciation of BMC’s reliability reputation. Eventually everyone arrived at the dinner venue where 40 or so members stayed on to enjoy drinks and a meal in the restaurant’s upstairs dining room. Thanks to Mark McKibbin for organising another enjoyable outing.